Quiffs and Collars, Fops or Fighters? Article from the Express & Star Newspaper. It is over 50 years since Edwardian jackets, drainpipe trousers and DA hairstyles suddenly appeared on England’s streets. 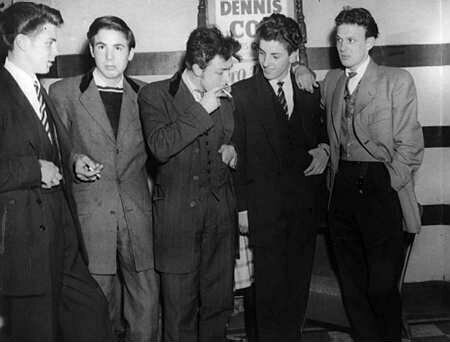 Peter Rhodes recalls the rise and fall of the Teddy Boys. Look around at the old blokes in the pub or the pensioners in the post-office queue. What were they doing 50 years ago? It's a fair bet that some of them were pulling on stylish Edwardian coats and drainpipe trousers a night-and maybe a fight-in town. 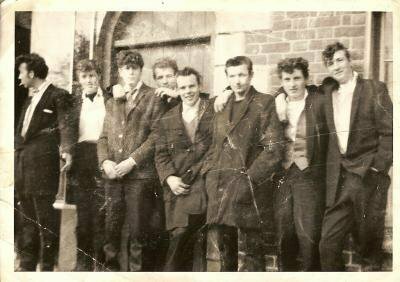 Half a century ago the Teddy Boy's emerged in England. But with hindsight, do you remember them fondly. or think of the darker side? 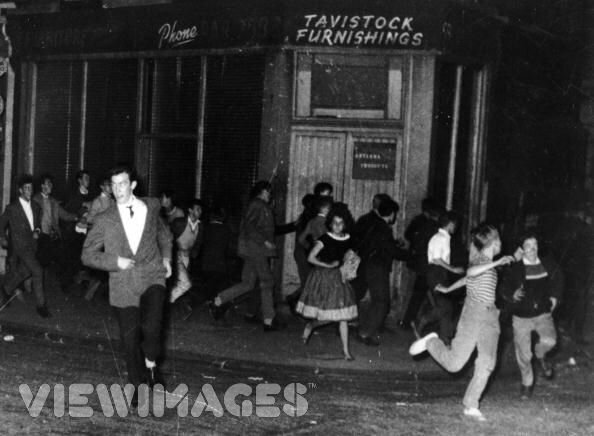 While everyone remembers the flashy clothes and Rock 'n' Roll dance sessions, Teddy Boys were also implicated in the first racial attacks and full-racial riots seen in Britain. The BBC recorded the 50th anniversary at the weekend in Ready Teddy (Radio 4). 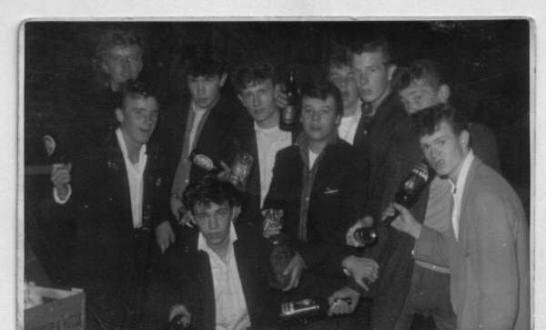 Ray Gosling, who claims to be one of Britain's first Teddy Boys, took a nostalgic trip to his home town of Northampton. He met the barber who gave him his first quiff and met Johnny Facer who he called the king of the Teds. He recalls how the Teds marked the gradual end of the austere world of post-war rationing. But Gosling is also big enough to accept that those working-class dandies were no angels. Ted's and trouble seemed to go together. 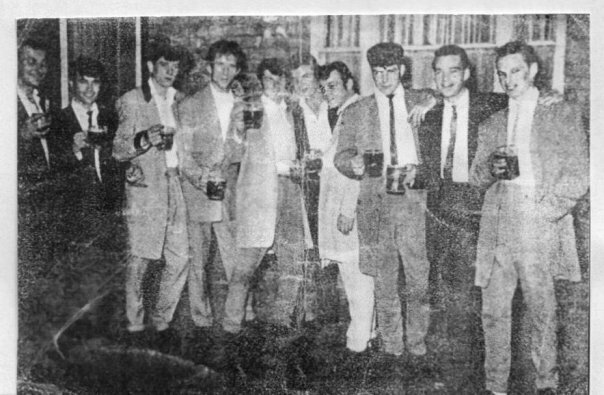 In February 1957, a group of Teddy Boys posed peacefully for the Express & Star, prompting the newspaper to comment "not everyone who wears Edwardian clothes is a delinquent." 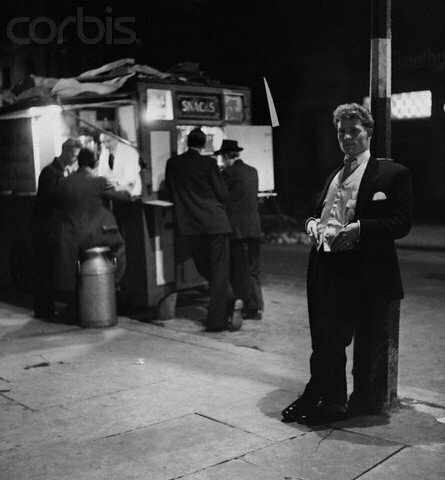 Yet before long the trail of street fights, wrecked cinemas, juke boxes and milk bars horrified Middle England. 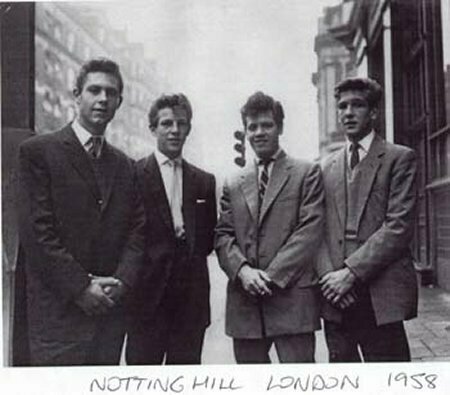 In 1958,the infamous Notting Hill race riots kicked off with attacks on black people by Teddy Boys associated with the fascist British Union. The Express & Star reported on April 6,1959 that 30 teddy Boys had attacked a group of black men outside the Pavilion dance hall in High Street, Blackheath. The incident was described as the town's "first racial street fight". In 1961 hundreds of recruits from RAF Cosford marched to a dance hall in Albrighton after Teds beat up two of their comrades. Local police defused the situation by promptly arresting the teds. 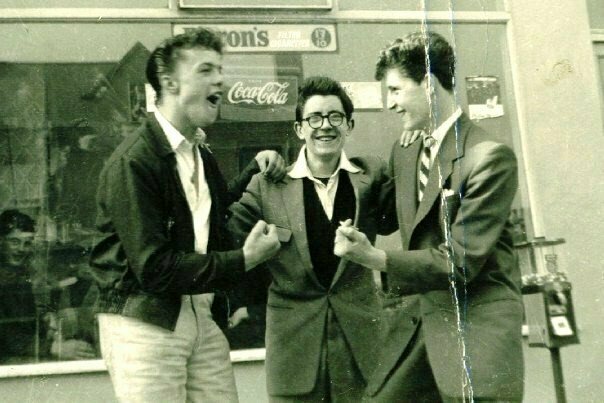 The Teddy Boy phenomenon first hit the headlines in London in March 1954 in a court case at Dartford. Someone had pulled the communication cord on a late-night train. When police arrived they arrested a gang dressed in Edwardian suits. A magistrate sneered at the Ted's clothes: "They are ridiculous in the eyes of ordinary people. They are flashy, cheap and nasty and stamp the wearer as a particularly undesirable type." 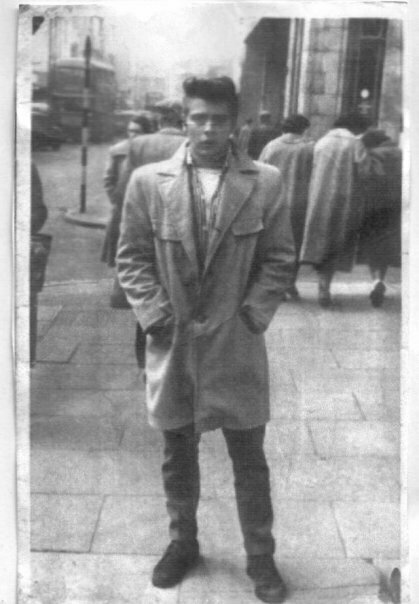 But the Teddy Boy myth was born. In August 1954 the first 'Best Dressed Ted' contest was held on Canvey Island. The Teds' fashion had curious origins. After the Second World war, some gays in London began wearing long Edwardian jackets with velvet collars. The trend was taken up by young upper-class officers in the Gaurds to reflect a longing for the lost grandeur of Edwardian England.The style quickly moved downmarket into working-class London and then into the provinces. Hairstyles changed overnight. Out went the traditional short back and sides. In came the Brylcreemed quiff with the hair cut into a DA (ducks a***) at the back. The Ted style may have started in tribute to Edwardian England but the Teds quickly adapted their look to the Wild west, as seen in a host of post-war movies. Narrow ties gave way to bootlace ties, held together, Texas style, with a crossbones or a dollar-sign medallion. Teddy Girls wore tight waisted skirts over massive net petticoats, topped off with beehive hairdos. But the Teds looked smart on the outside, those carvernous frock pockets might contain anything from a flick knife to a bike chain. 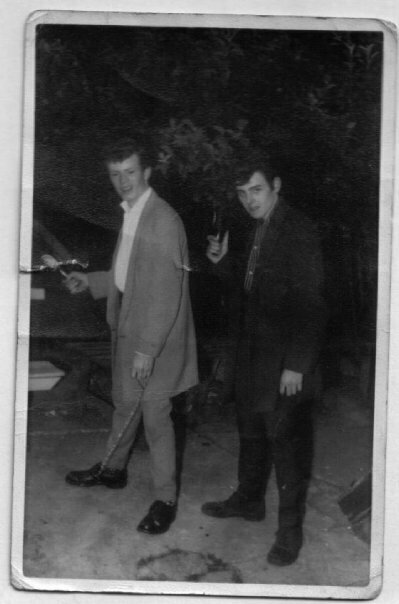 For thousands of lads,being a Teddy Boy was a rite of passage for years between adolescence and National Service and whatever fate in store in Cyprus, Malaya or Suez. They may have been the terror of the milk bars and dance halls but once inside an army camp, the hardest Ted was broken by ferocious NCO's. Quiffs that took years to produce fell in a matter of seconds to the base barber's clippers. The process reduced many Teds to tears. 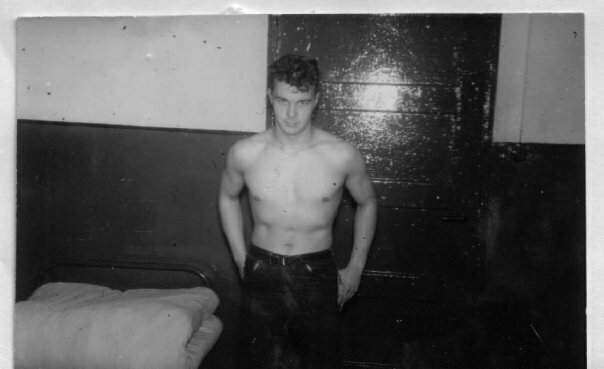 By the mid-60s the last Teddy Boys to complete National Service came home to find the world had changed utterly. Mods and Rockers were scrapping on the seafront at Clacton and Teddy Boys passed into history.